My understanding is that the Zigolo was never officially imported and that consequently there are very few in the U.S. I mean very few like a dozen. 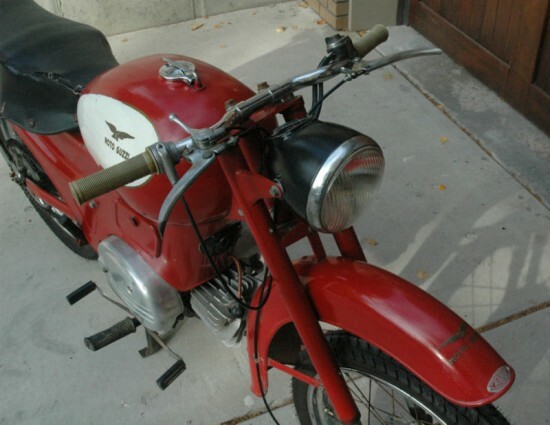 Maybe some Guzzi expert will see this and shed some light; what I do know is that I’ve had it in a couple parts of the country and of all the hundreds of people – expert or otherwise – who just have to approach me every time I park it, no one has ever seen one in person, if at all. I’ve never cared about how rare it may or may not be, I just love the bike and have tried to honor it. I feel pretty safe in saying that, with a couple small exceptions, this is a 100% unmolested original. I replaced the tires, brake, throttle and clutch cables, all of which were basically unsafe when I bought it. I’m pretty sure the spark plug and wire have also been changed, but not by me. I think you should be able to see by the tire photos how many miles I’ve put on it. Of course you can’t be sure because there is obviously no odometer, but suffice to say not many. 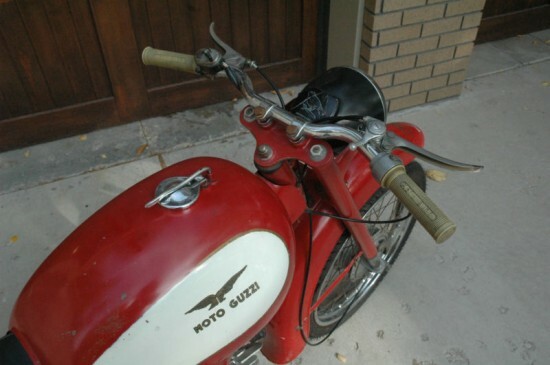 As you may know, many of the Guzzi’s of this era were named after birds. Zigolo translates to Bunting, which is what you see where the speedometer would ordinarily be. I can tell you without hesitation that of the half-dozen or so vintage bikes I’ve owned, this is without question the most reliable. Even at times where it hasn’t been ridden for 6 months, it starts in about 6 kicks. Seriously. It’s hard not to wear a smile on this thing, but at 54 years-old and 98cc’s, you’re not going to be setting any speed records. I don’t really know what to tell you about it that you can’t generally see. It’s a pretty straightforward 2 stroke single and it runs like a top. It’s my belief that the seat will be structurally useable, but the upholstery is definitely shot. It has numbers on the frame and the engine, which match. 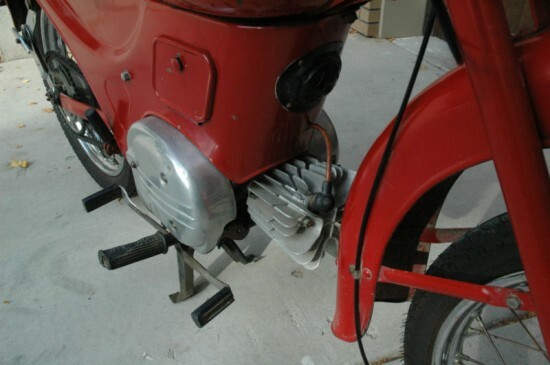 The Zigolo had a horizontally mounted motor like it’s bigger, four-stroke brothers for a low center-of-gravity and good cooling, and put its modest power through a three-speed box, with top speed about 50mph. It was lightweight, reliable and relatively fast for a machine of its class, with a powerband defined by a surprising flexibility. 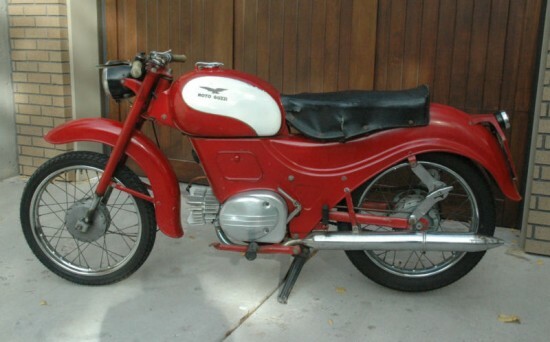 In 1958, the Zigolo became first series production bike to use a chrome plated cylinder removing the need for a cast-iron liner. With the revised motor, 100mpg was easily achievable. The seller claims that these are extremely rare in the US. Assuming you keep the limitations of a 1950’s 100cc motorcycle in mind, this is a very useable little bike: the Zigolo was designed as practical transport for the masses. Parts availability may be an issue, but I doubt that many bikes this old don’t present at least some problems in this regard. 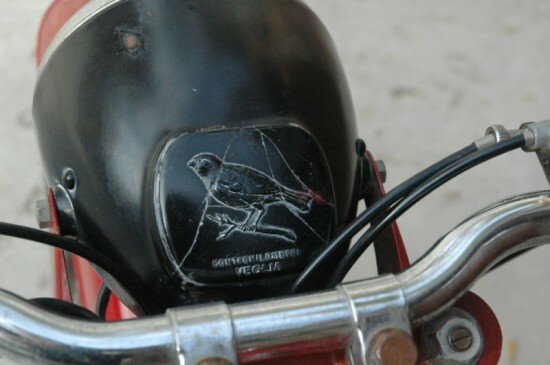 Plus: you’ll have a rare as all get-out bike with a tiny bird plaque instead of a speedometer! Previous story Which 1973 Honda CB350F is for you?